You may be feeling a pull to deepen your yoga practice, maybe even teach and have been finding yourself hesitating! You can also see my story below. I know what it feels like to take that leap of faith and make a commitment into something new but I sense if you're reading this now you're ready! Take a look and see if this might be the right fit for you. I'm excited to offer this training because I know the world needs more amazing people teaching, sharing their voice in their way. ​I hope you join me! Check Out Training Information Below! Principles of demonstration, observation, assisting/correcting, instruction, teaching styles, qualities of a teacher and the students process of learning. Deposit: $600 - holds your space! I started a new journey in 2006 when I began my yoga teacher training. I had no idea why I was drawn to this training. I was only doing yoga for a few short months. I had no idea what was in store for me. I only knew I had a pull, a feeling, a need to be in this specific yoga teacher training. My husband encouraged me to "go for it". I signed up for yoga teacher training with hesitation. My mind told me it was the most ridiculous idea ever. It also told me I was the least likely person ever to teach yoga. I really had no desire to teach yoga but knew I had to be in the training at that time. I'm happy I didn't listen to my mind but instead listened to that feeling, a strong pull to be part of a 200 hour teacher training program. Once i started the training I wanted to quit everyday for the first three months. I had no idea why I was there. I was the only one in class who had little to no experience in yoga. After all I started doing yoga by following a video tape by Suzanne Deason at home. My teachers knew I was on the edge of quitting. Every time my body moved into a pose it made a very loud cracking noise. My body was so tight that I had to modify almost all the poses. I never looked as good as the other students who made their way so gracefully into each pose. What yogi's call "easy sitting" was everything but easy for me. I had lots of reasons to NOT be in this training but I didn't quit. About half way through the training something shifted/changed for me. I don't know what but I remember all of a sudden I felt OK with being in yoga teacher training. I felt ok with having to modify and use props to support my body in certain yoga postures. I made it OK to be OK with who I was and how I had to support my body at the time. My yoga teacher training was a big journey of self discovery. I came out the training knowing me. I discovered ME and it lead to other things that I would never have done if I wasn't in yoga teacher training. During the training it became abundantly clear that I LOVE helping people. I learned I have a natural ability to teach and help others to self discover so they too can be OK with who they are. I'm so excited about offering Yoga Teacher training and help others to self discover. I can't wait to show students how they can offer and teach a variety of yoga practices to all types of people. You will learn the amazing ways that all people can do a variation of yoga. I believe all people can do some version of yoga. (sitting in a chair, lying in bed, on a plane, in a yoga studio and so much more). In this program expect to really get to know YOU. You will be required to do self care. I found this requirement so beneficial when I took my yoga teacher training. I don't believe it's enough to just show up and teach yoga poses. You need to show up as the amazing teacher you are and offer your students the real amazing you. To get to that amazing space you will need to go through the weeds and clear the garbage. This was my experience in Yoga Teacher Training. I hope you take this journey with me. I'd love to support and help you be the most amazing yoga teacher you can be. 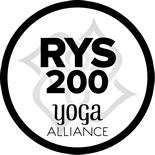 Mary O'Toole is the Director of the Mary O'Toole Yoga School and is a Registered Yoga Teacher (E-RYT) with the Yoga Alliance since 2007. 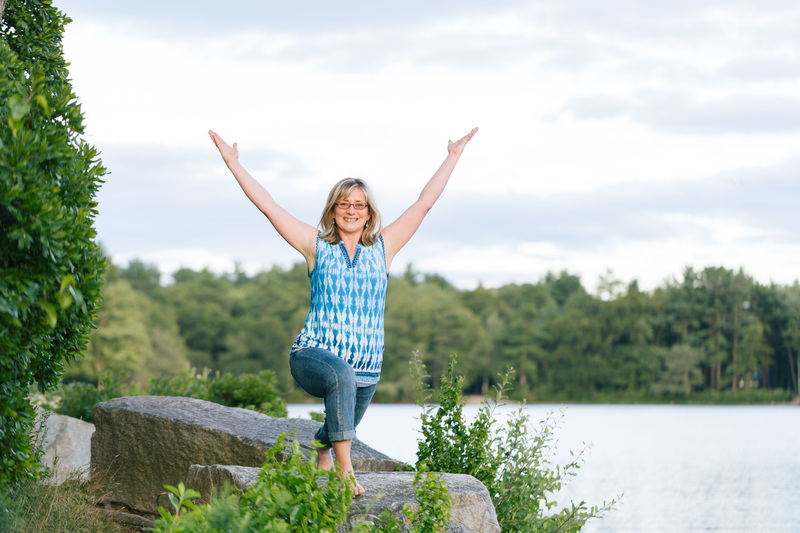 Mary is also a Wellness Coach, International Yoga Retreat Leader, Reiki Master Teacher and Laughter Yoga Leader. She discovered yoga in 2004 at a time of personal challenges and found that yoga helped her cope with stress. She also spent more than 10 years in the Corporate Human Resources environment. 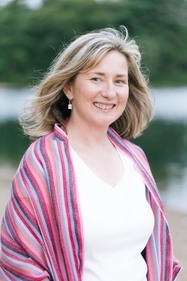 She takes her corporate background and blends it with her wellness training to offer each individual and group a unique wellness experience. Mary moved from Ireland to the United States 21 years ago. While living in Ireland she studied judo for 8 years and achieved an adult brown belt through the Irish Judo Association. In addition to her passion for yoga and Reiki, she enjoys walking with her husband and spending time with her family back in Galway.